Malaysian cosmetic brands are on the rise and they are widely popular as they offer a more affordable option of good quality and satisfactory cosmetics compared to worldwide famous brands. Their popularity is also enhanced through the use of social media such as Facebook and Instagram. Some of these cosmetic brands have also succeeded in entering the international market. Here, Top 10 of Malaysia shares its list of homegrown cosmetic brands that have made it big in Malaysia’s cosmetic industry. Founded by Sharifah Nabilla Al-Yahya Syed Sheh, a famous online mogul for Muslimah Fashion, Bella Ammara in 2015, the Sugarbelle brand is one of Malaysia’s earliest cosmetic brands. Besides having fans and customers in Malaysia, Sugarbelle is also well-known in other countries such as Singapore, Brunei and Indonesia. The company also produces cosmetics that are ablution or wudhu’ friendly, halal certified and their products are formulated in Korea, paraben-free and suit all skin tones. Founded by queen of entertainment, Dato’ Sri Siti Nurhaliza Tarudin in 2010, SIMPLYSITI has been a nationwide sensation and well known as a premium brand in the local and international market with its head office in Kuala Lumpur. Its name “Simply” is taken from the word “Simplicity” and the brand’s tagline is “For The Beauty In You”. Offering high quality “halal” certified products with affordable prices, SIMPLYSITI’s products are available in more than 300 outlets including pharmacies and stores such as AEON Wellness, Giant, Watsons and Creacion x SIMPLYSITI Boutiques. Other than that, its products are also available for sale on SIMPLYSITI’s official website and other online platforms such as Shopee and FashionValet. 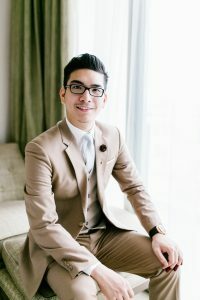 Founded by Tan Thiam Hock of Alliance Cosmetics Sdn Bhd in 2005, Silkygirl has grown to be one of the cosmetic brands which are available at major pharmacies, personal care stores, departmental stores and hypermarkets in Malaysia. In 1996 Tan, a former employee of IGB Corporation Bhd distributed cosmetic brands such as Eau Thermale Avene, Elancyl, Wet n Wild and Revlon. In 2010, Silkygirl’s fame also spread to Indonesia and subsequently to countries such as Singapore, Brunei, Cambodia, Mongolia, Myanmar, Philippines and Vietnam. Founded by the wife-and-husband team of Sabrina Tajudin and Tawfiq Nasir, Breena’s cosmetic products are of high quality and are sold at an affordable price range. 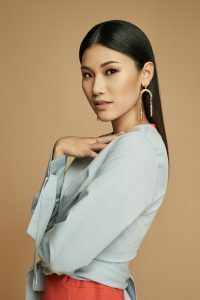 The products also come in elegantly-designed packaging and are available for purchase in stores such as Parkson’s Playup and websites such as Zalora, Hermo and Watsons. Breena’s famous product is its Blending Pearl, a latex-free makeup sponge which has been selling like hot cakes. DIDA was founded by Tengku Chanela Jamidah Ibrahim and Didie Nasir. The make-up products produced under the DIDA brand are meant to make women feel more confident and possess higher self-esteem. The products could be worn by women from all age groups and at various occasions. Thus, their notion of “By Women for Women” aims to empower women through beauty. Their high quality products soon become the talk among women as they are affordable and attractive. This cosmetic brand was founded by psychology graduate, Siti Syazurah Mohd Anwar, also well known as Zura Anwar in 2016. Zhuco Cosmetics originates from North Borneo, Sabah and the company is now run by Zura and her sisters, Zaza Anwar and Shera Anwar. The Zhuco brand of products which are affordable and of high quality, soon became famous among its satisfied customers. The products are formulated in the United States and the brand has also made its name in the United States of America. Besides, Zhuco has also been featured in magazines such as Women Health Malaysia, World of Buzz, Rojak Daily, Lobak Merah, Vulcan Post and Breeze Magazine as one of the favourite local cosmetic brands. 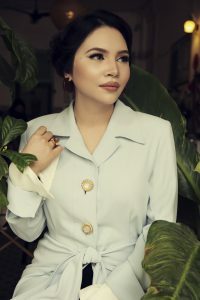 Creative entrepreneur, Aznita Zainul Azman was inspired to establish the Nita brand of cosmetics based on her passion on arts and classic films. 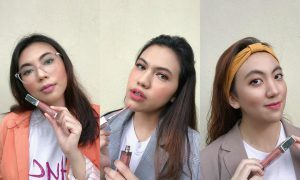 Being the business development personnel of Dimensi Moda (M) Sdn Bhd, the parent group for Nita and modest fashion label, UMMA, Aznita decided to sell hypoallergenic products that will help boost one’s self-esteem. The Nita brand of products emit a fun, quirky and upbeat feel. In addition, the names of the products’ packaging are inspired by local customs, traditions and cuisines. The Chique brand of cosmetics was founded in 2016 by Qistina Kamarulzaman and Firdaus Mohamad. The word “chique” means “stylish or smart” in French. Pop art and bright colours is the main theme of Chique, which inspires the young and fun look among its customers. Its products are of high quality and also free from parabens and sulphates. Chique products are also sold online via its website and also other online portals such as Zalora, MySmink and Fashionvalet. Besides, its products are also available in stores at Parkson, Play Up Advance, Fahrenheitt88 Mall, Kuala Lumpur and Paradigm Mall, Johor Bharu. Chique is also distributed in Singapore, Brunei and Indonesia. 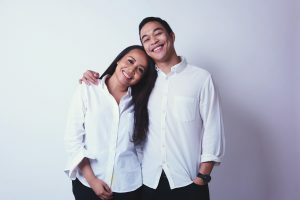 Located at the heart of Kuala Lumpur, So.lek was founded in 2016 by siblings, Dahlia Nadirah and Luqman Hakim. So.lek was inspired by the idea of instilling confidence and enhancing beauty among its users. The name So.lek was inspired from the words “alat solek” which means make-up tools in the Malay language and also by its favourite slogan “So? Relax”. The idea for the company’s logo was taken from the siblings’ grandmother’s traditional eyeliner bottle. Youth entrepreneur, Raeesa Sya founded Orkid Cosmetics, a halal, organic, vegan millennial e-commerce cosmetic company. Raeesa has won multiple awards as a young enterprising entrepreneur and her product, Orkid Cosmetics Matte Suede Liquid Lipstick won the Best Local Matte Lipstick in the CLEO Beauty Hall of Fame 2017. Orkid was launched online in February 2017 and were in stores at Play Up Advance in Paradigm Mall, Johor Bahru, and Fahrenhite88 after that.